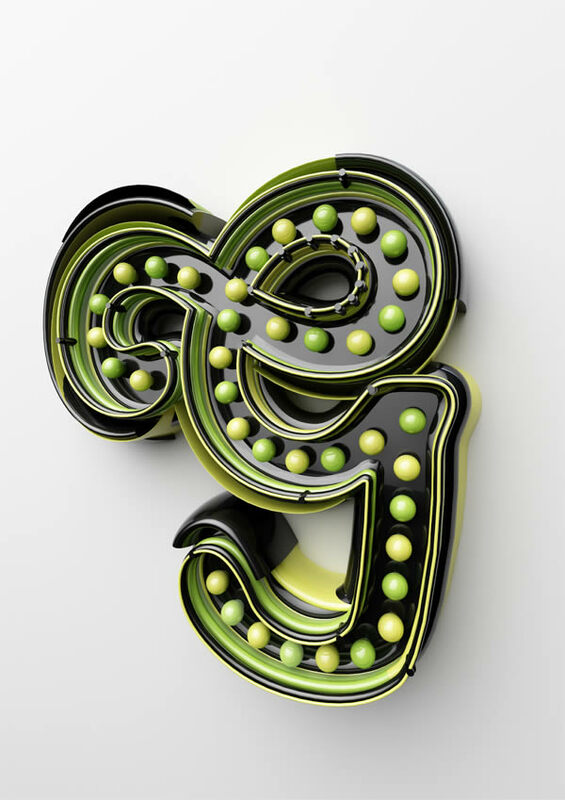 Great-looking 3D typography often involves the use of several applications. 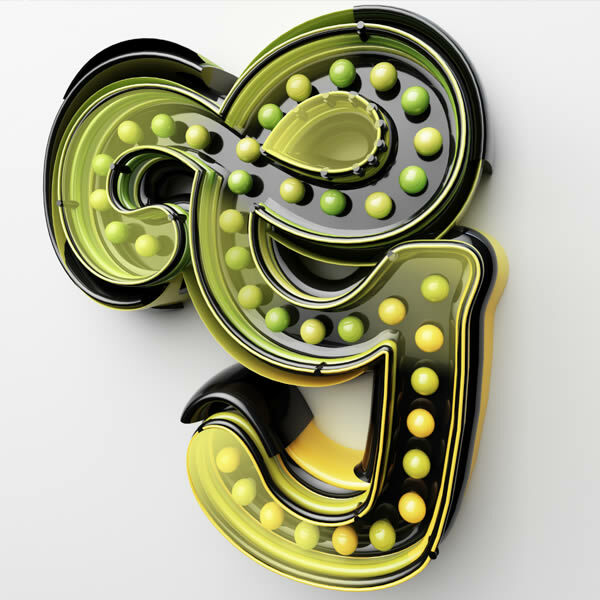 In this tutorial, we will show you how to create a vintage lightbulb sign using Adobe Illustrator to create and export the basic paths, Cinema 4D to create the 3D render, and Photoshop for post-production. Let’s get started! 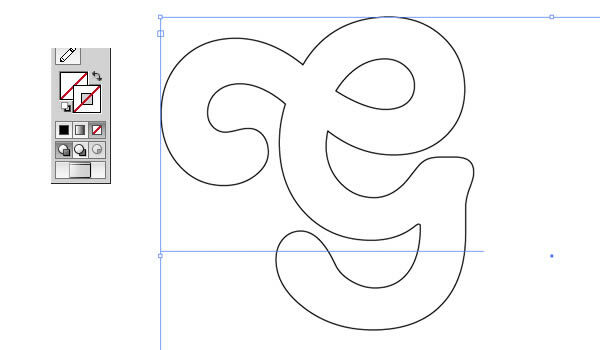 The first step in our project is to create the shape of the letter “G” in Adobe Illustrator. Create a new file. 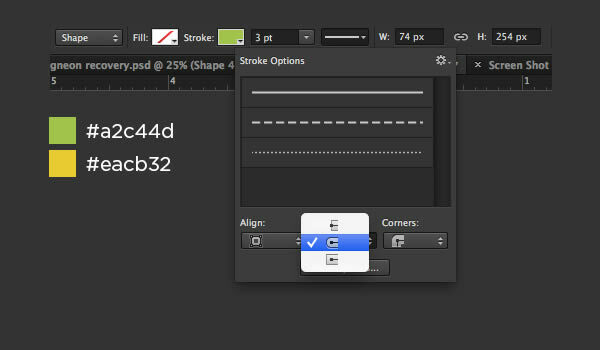 Select the Type Tool, set font to Tango BT and type text on new document. 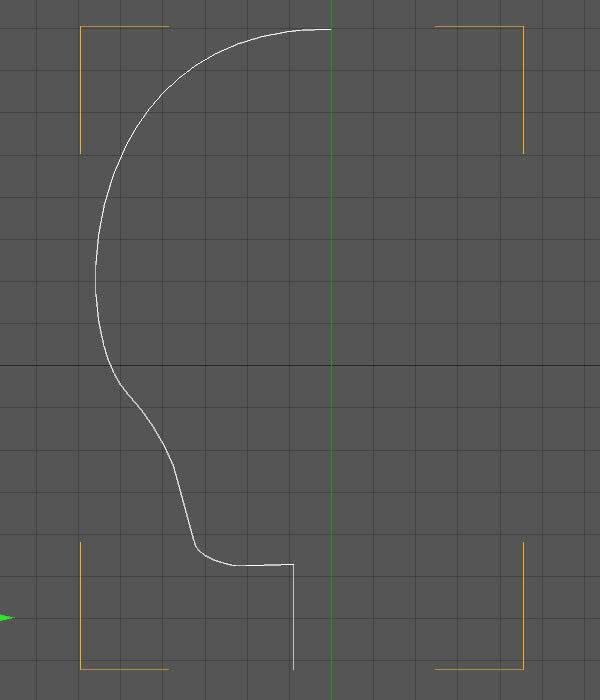 After that, you have to export your shape to Cinema 4D. 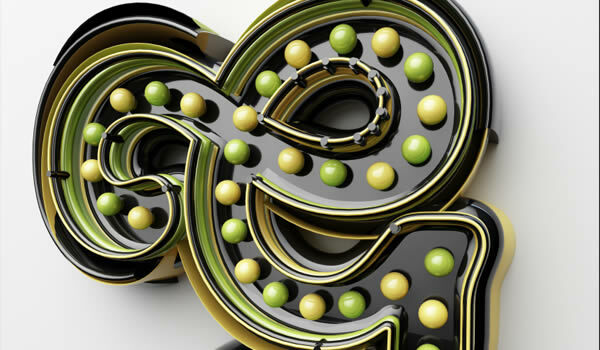 Select File > Save As and choose .ai format and save it for Adobe Illustrator 8. 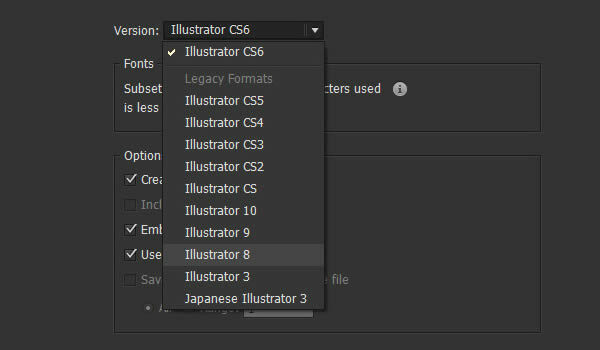 This is a really important step because if you save it for newer versions of Illustrator you won’t be able to open it in Cinema 4D. 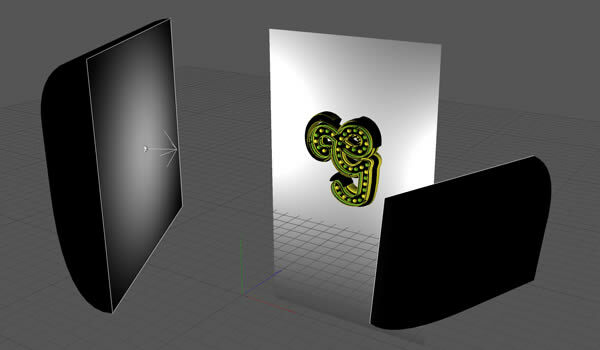 Now start Cinema 4D. Select File > open from menu and open your saved letter “G.” C4D will ask about some import parameters, we leave then as they are and click OK. Our letter which we did in AI is now in Cinema 4D as a Spline, we can modify it as we want. 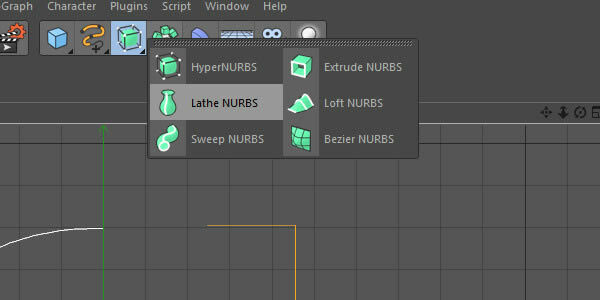 Now again from upper menu choose sweep nurbs. 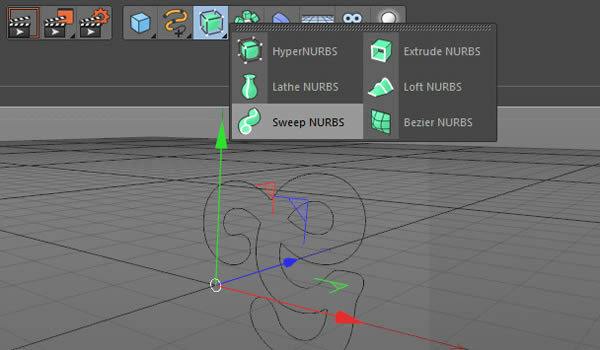 That’s everything what we need to do to create sweep nurbs. 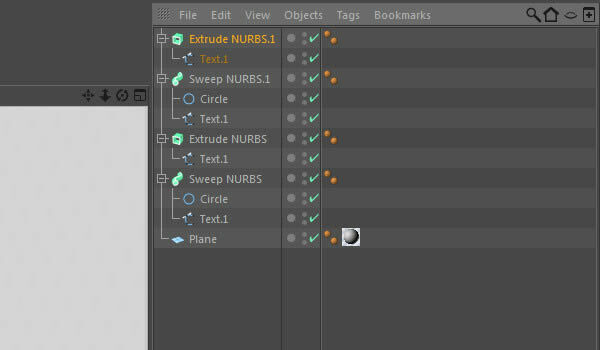 Now we have to attach both objects to sweep nurbs but remember, circle must be above letter object because if it is under we don’t get what we wanted. 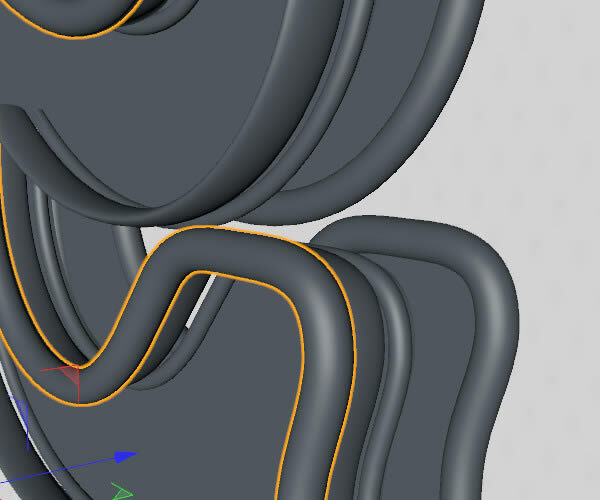 And now we’ve done sweep nurbs. First, we have to create background for our project. So choose plane from upper menu. Set width to about 400 cm and height to about 650 cm and rotate our plane 90 degrees vertically. 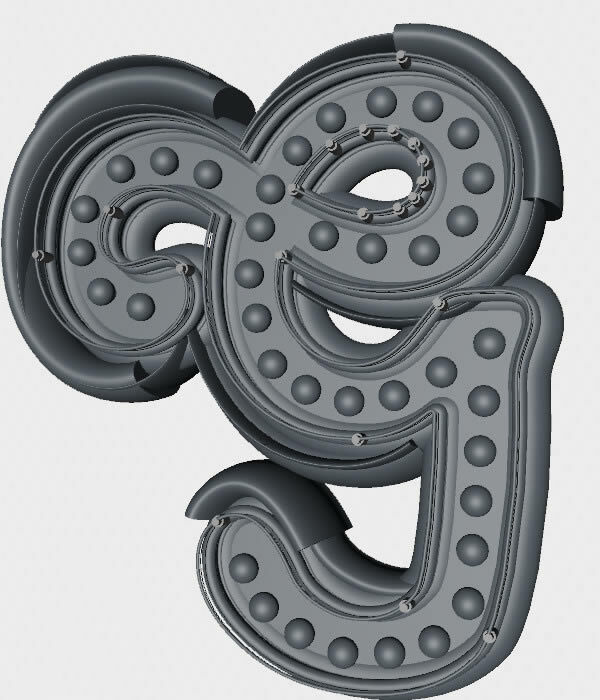 Now it’s time to start creating our “G” letter. 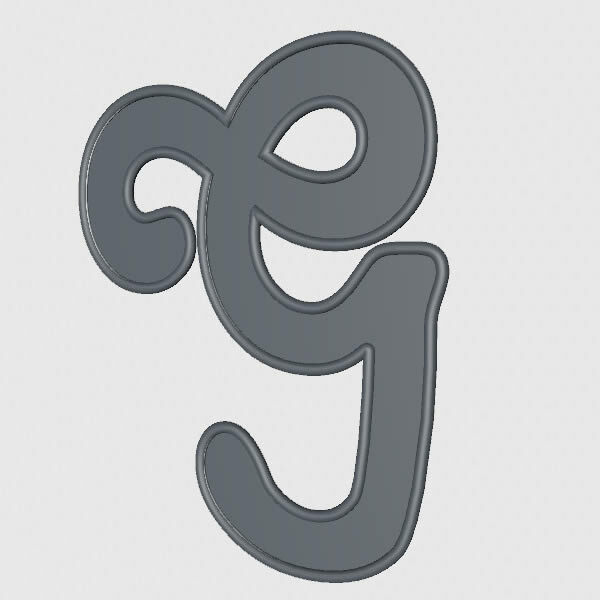 Select Text from upper menu and make letter G (font tango BT). Make it editable. 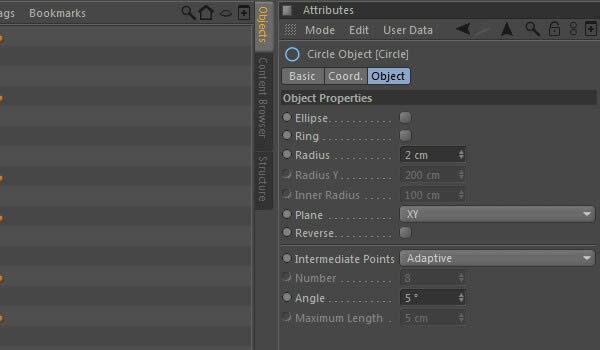 Create new circle with radius about 2 cm and put it with text object as a child of Sweep NURBS. 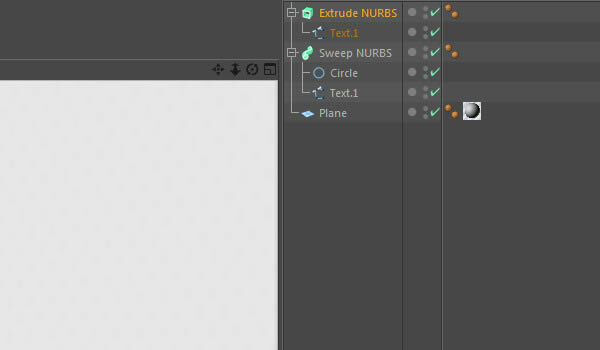 Copy object with text, create Extrude NURBS and set text object as a child of Sweep NURBS. 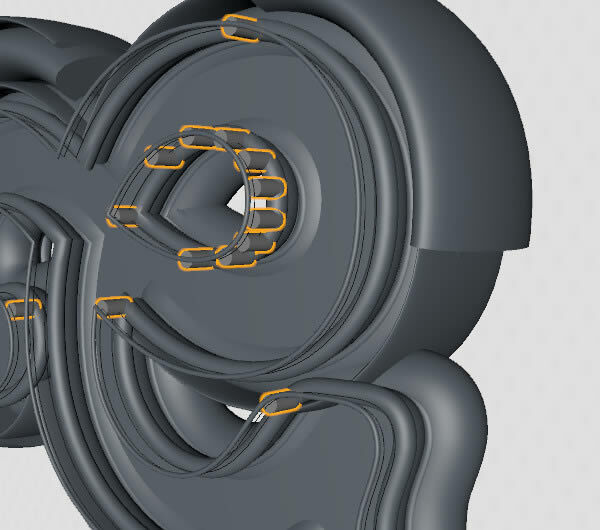 In Extrude NURBS attrbutes set movement to 2 cm. And move it a bit forward. 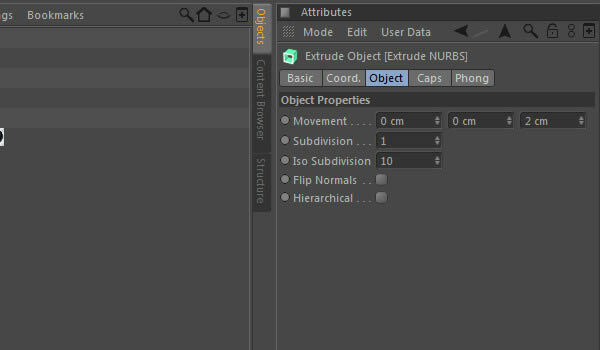 And put all created objects to that object and rename it to Base. 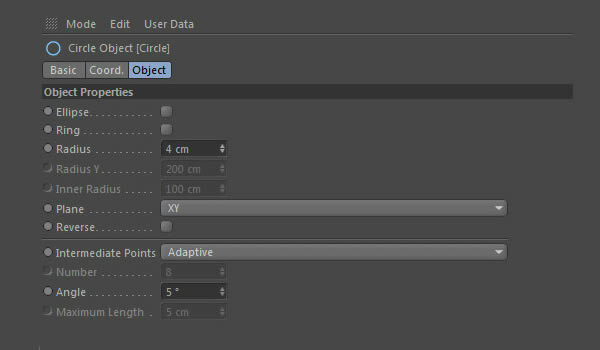 And in circle object check Ellipse and set radius Y to 3 cm. 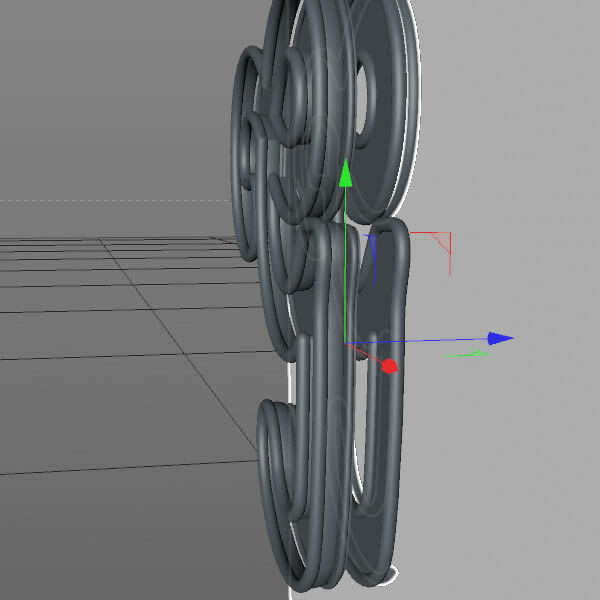 Again copy Sweep NURBS and move it again a bit forward. 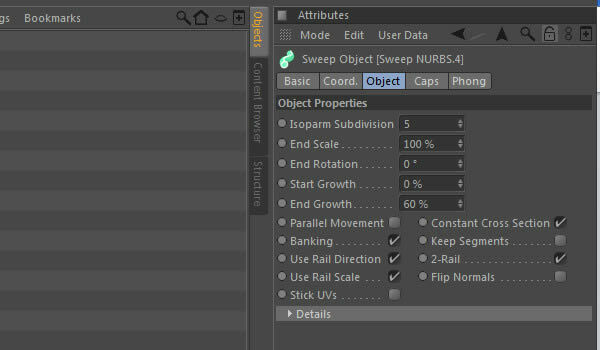 Copy latest Sweep NURBS and change only Attributes. Our work for the moment should look like this. 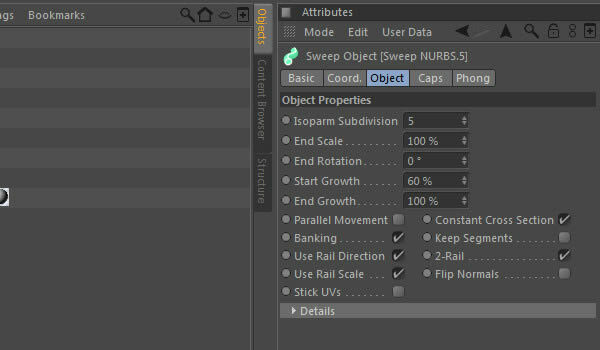 Again create a Null Object and put those Sweep NURBS to it. 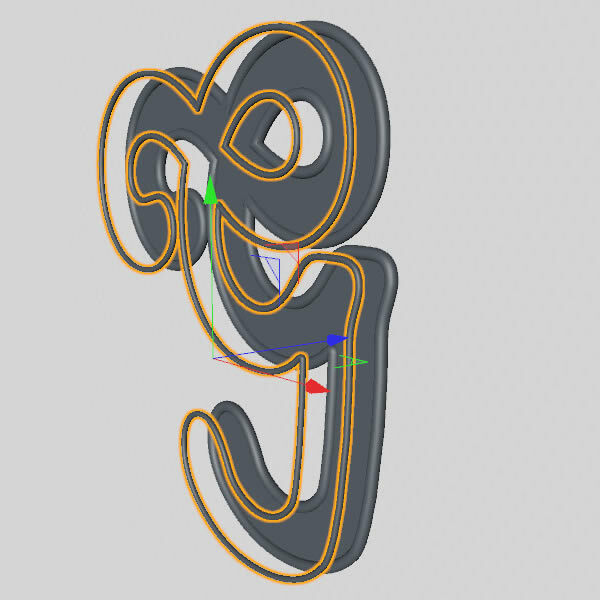 Now we have to create Neon splines. 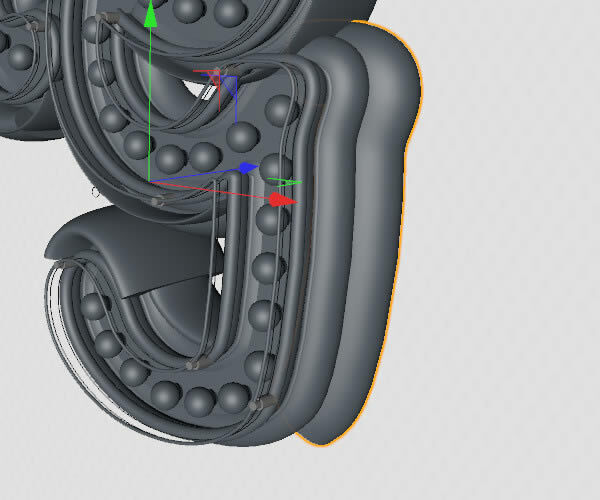 All of them are copies of latest Sweep NURBS only with other radius and circle Ellipse or not, with changed start and end growth. You can set it as you want. Now we have to create something like screws. 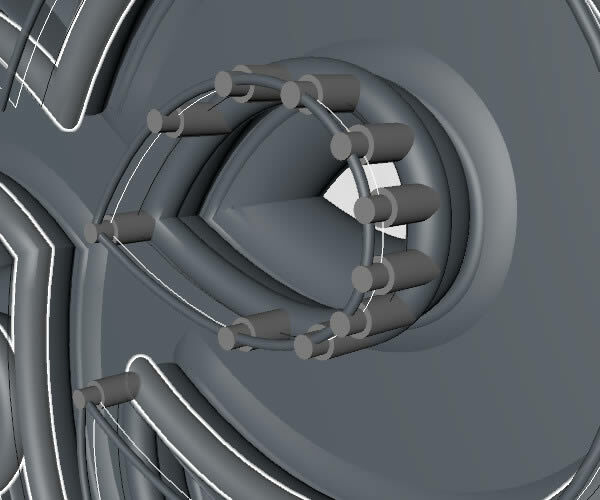 To do that, create a small Cylinder with settings like these. 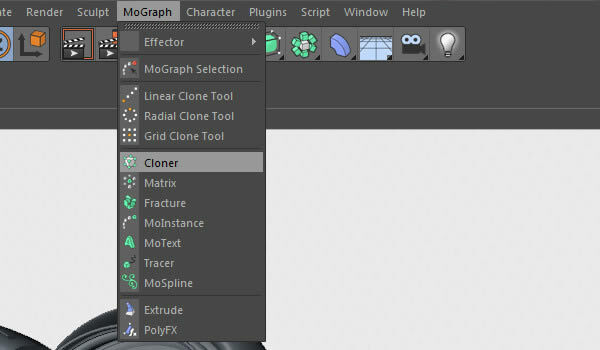 Create Cloner from upper menu MoGraph > Cloner. Make that Cylinder as a child of Cloner. Copy latest text object, move it forward. 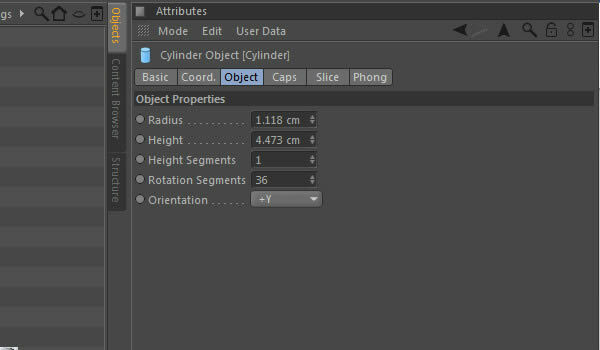 Click on Cloner with Cylinder and set Attributes as on picture below. 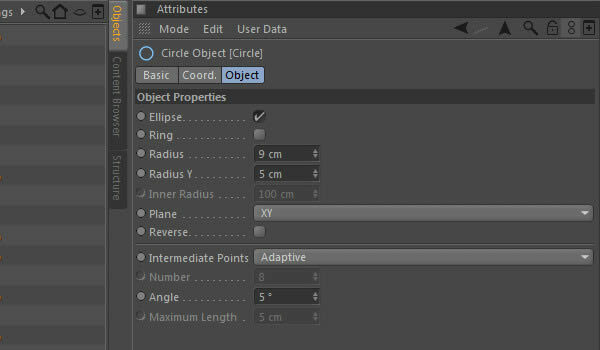 In object part of these Attributes set copied Text object as Object which Cloner will suggest. It should look like this. 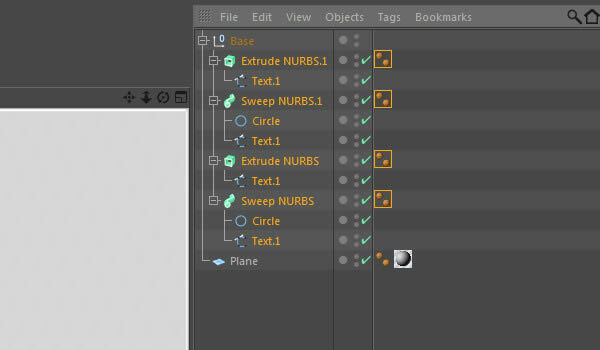 And in Cloner Attributes change object to duplicated text. 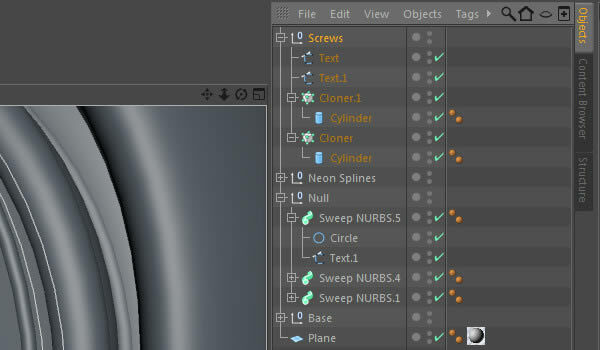 Create new Null Object, rename it to Screws and put both Cloner objects and both text objects to that object. Now that the screws are created, they should look like this. 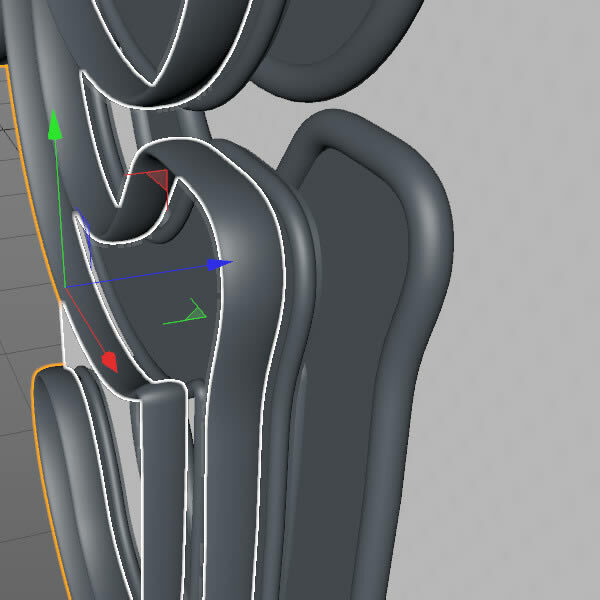 Most front-end Sweep NURBS objects should be getting by screws. Now we have to make bulbs. Select File > New. Press F3 (Change View Mode). 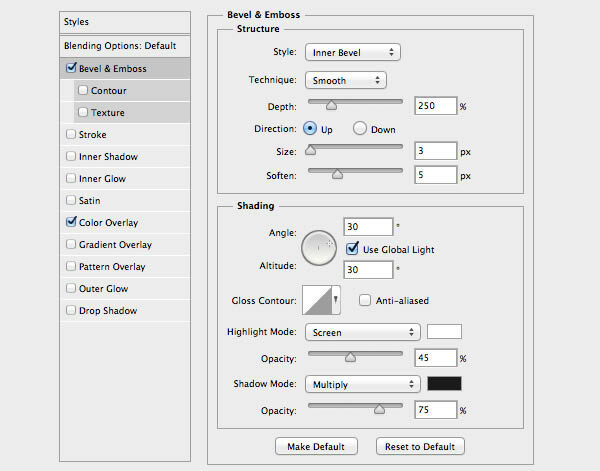 Select Bezier Tool and create half of bulb. 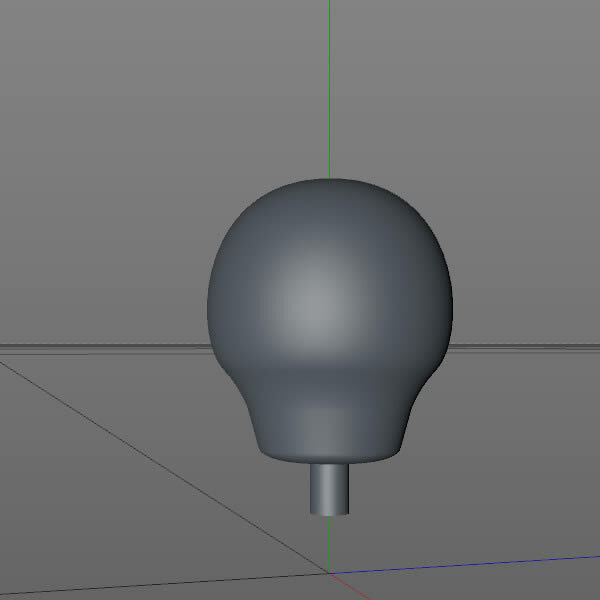 And make created half of bulb as a child of Lathe NURBS. Now press F1 and we can see something like bulb. 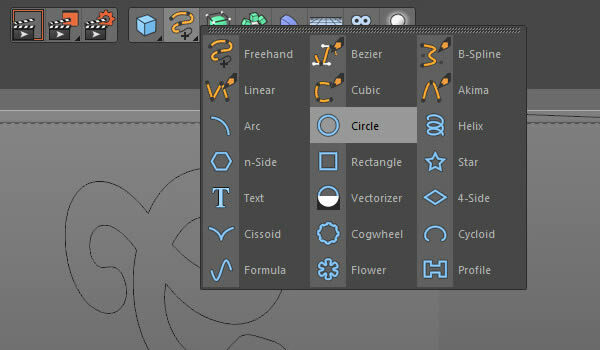 Select Both objects and click “make editable.” Now click on object and press CMD/CTRL + C. Select Window and on the bottom select project with G letter. 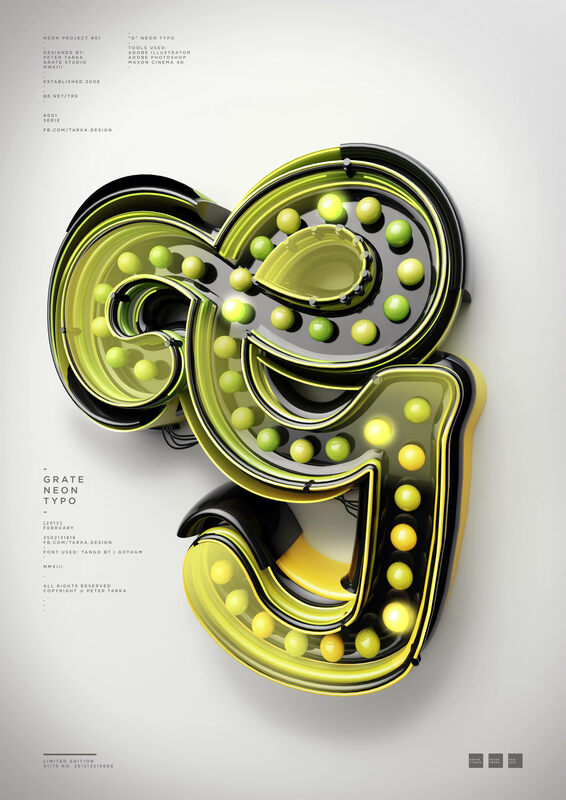 Click CMD/CTRL + V.
Turn Vertically that bulb and put it on a letter. Copy it as much as you want in G shape. 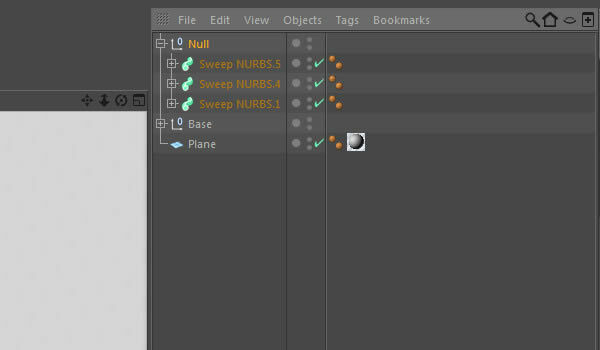 Put them all to new Null Object and rename it to Bulbs. 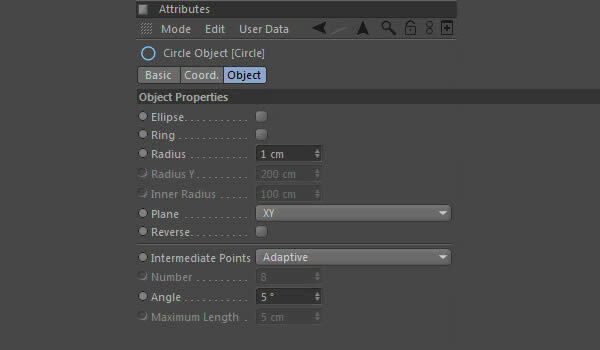 In the last step of creating Letter G, copy Sweep NURBS from Base and set Circle Attributes as shown below. And move it a bit backward. Back end should look similar to this. 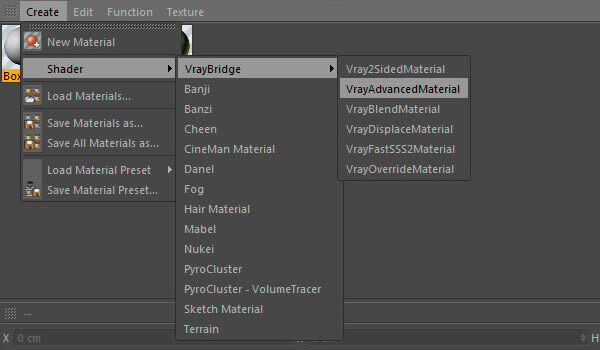 From material browser select create > shaders > VrayBridge > VrayAdvancedMaterial. 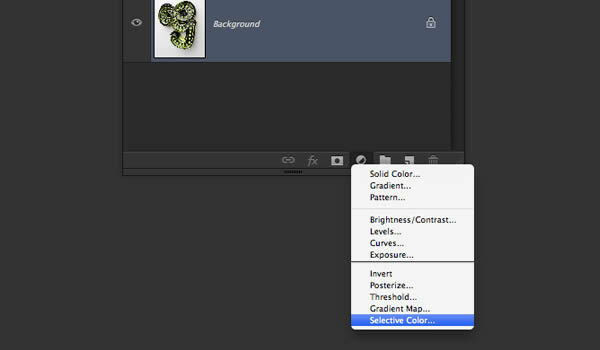 Double click on created material and set settings as on pictures below. That’s it. 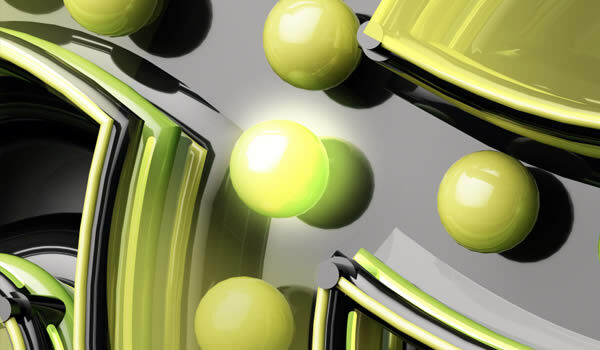 Now we have Black material and we need to create green and yellow materials. 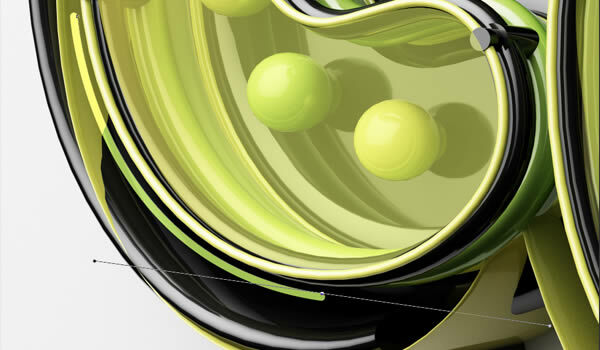 Click on created black material and copy that by shortcut CMD/CTRL + C, CMD/CTRL + V. Double click on copied material and in Diffuse Layer change color to green and do the same with yellow material. Now we need to create white background material. 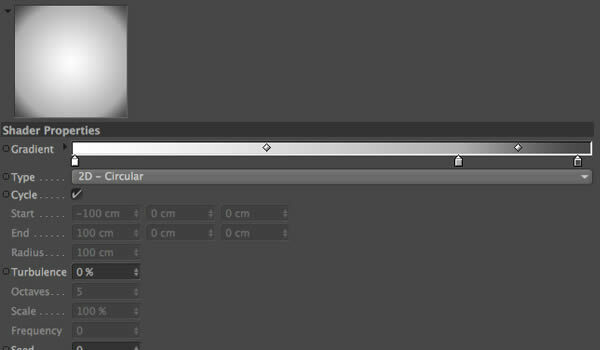 Again select create > shaders > VrayBridge > VrayAdvancedMaterial and set settings like that. 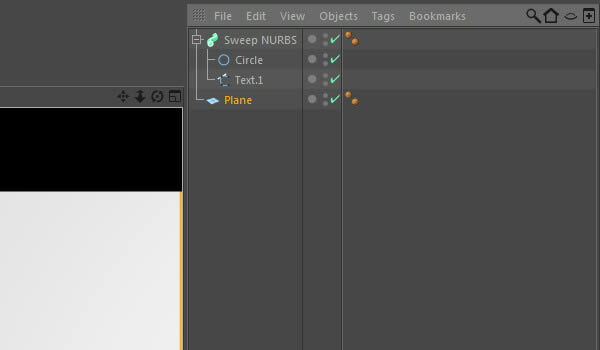 Apply the materials on the two planes, put the first (slightly decrease the object) are on the right and second on the left side of the stage. 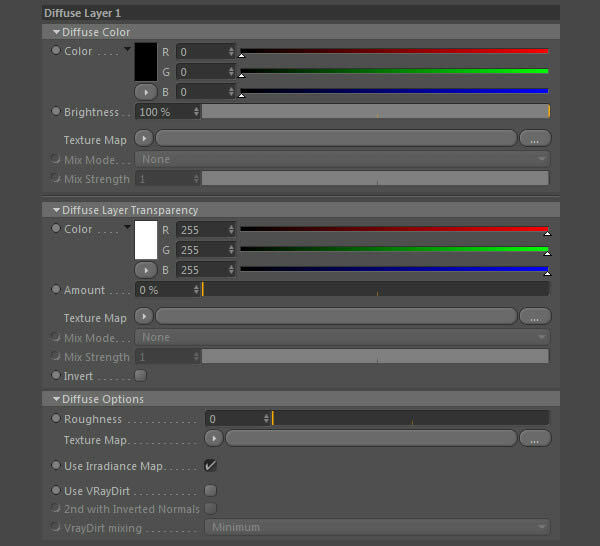 Open the file VRAY TUT SETTINGS.c4d. 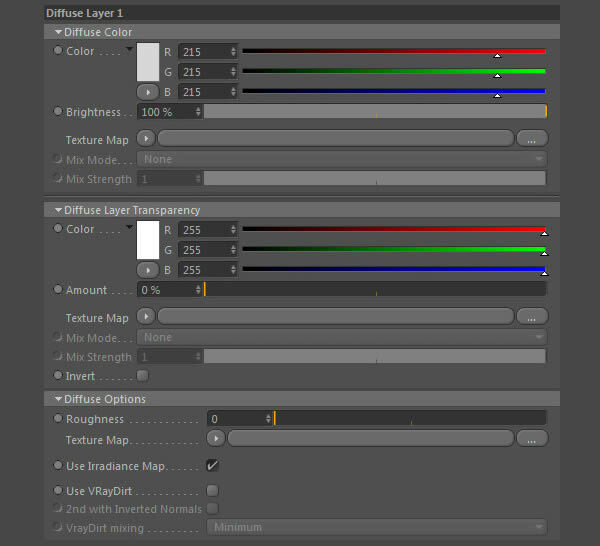 Go to render > Edit render settings and copy render settings. Back to your document and go to the render settings and click Paste. 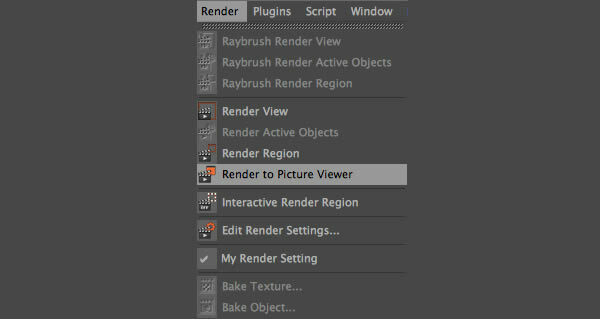 Hit render to picture viewer (Render > Render to picture viewer) and wait for the final render. 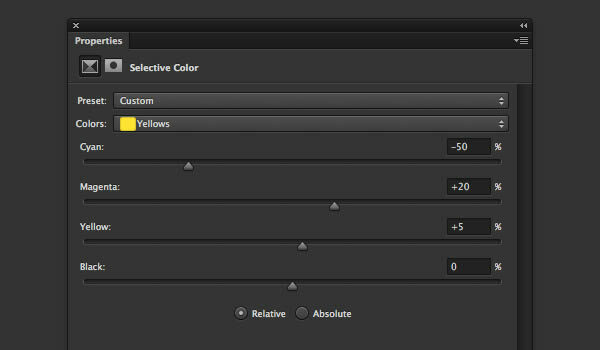 Open the rendered file in Photoshop (I use CS6) and create new adjustment layer (adjustment layer > selective color). 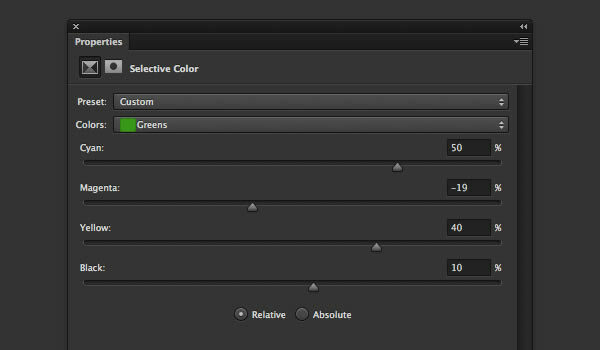 Now go to the Greens section and apply the settings below. 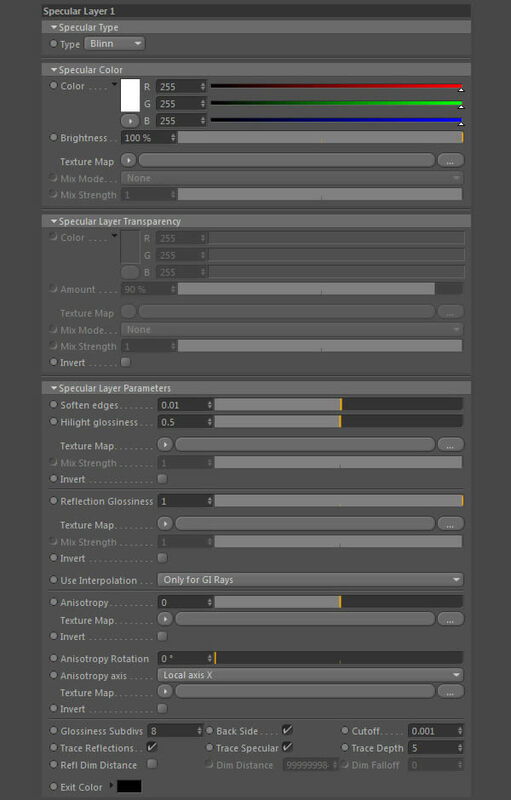 Select the pen tool and start to create the shape of the color (# eff05b). 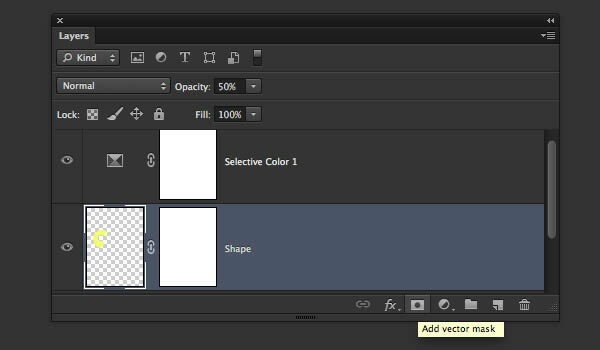 Change the opacity of the created shape to 50%. 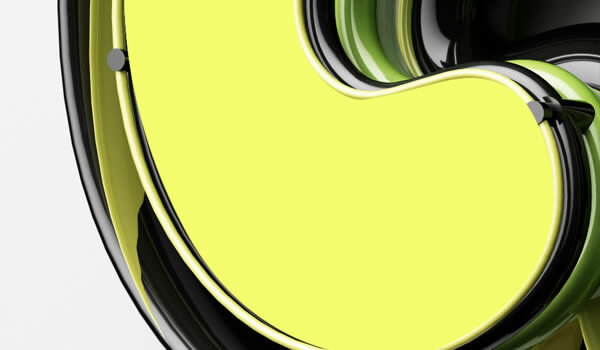 Add a vector mask to the shape layer then grab a black soft brush and try to mask hard edges of the shape. 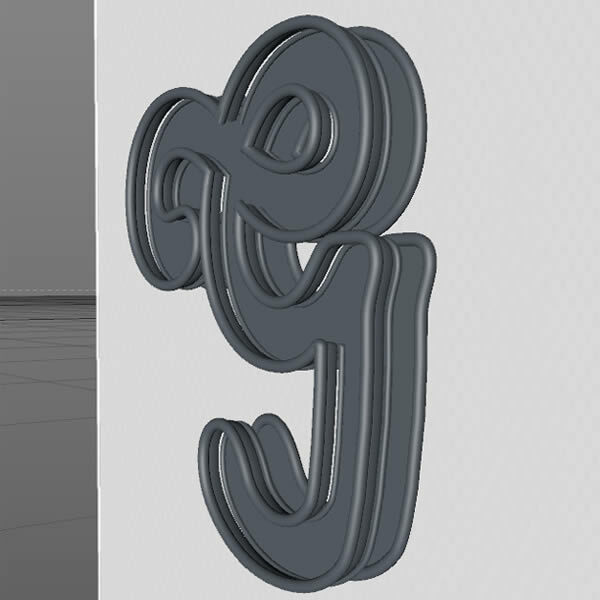 Repeat this step few times to create nice glass reflections on the letter. 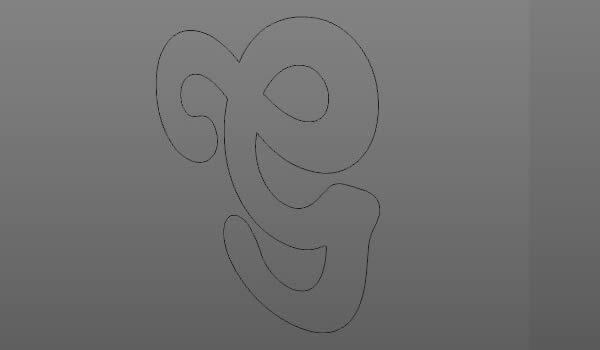 Use the pen tool to create light splines, change the stroke size to 3pt and start make the shapes. 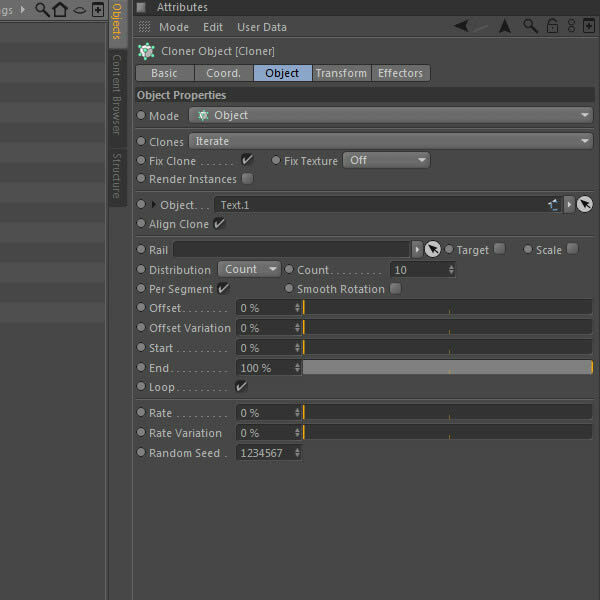 After creating a spline set the blending mode to Linear Dodge (Add). Repeat this step few times to create a light effect. 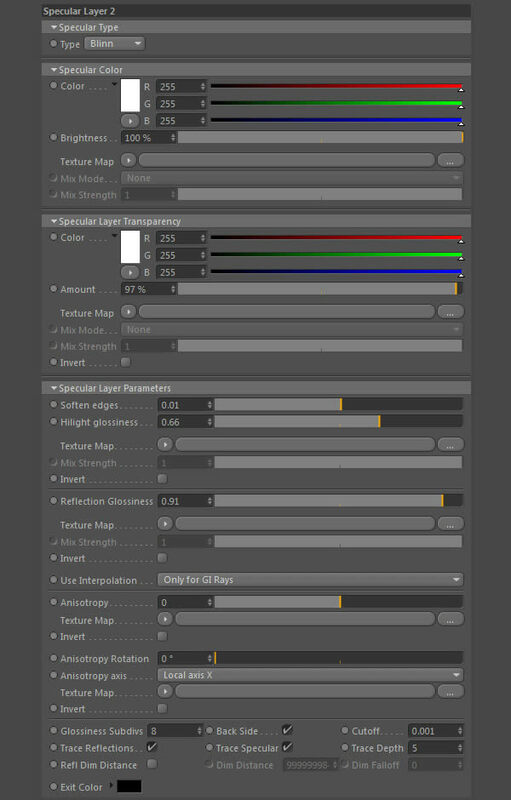 To light some bulbs use soft brush color (green # a2c44d, yellow # eacb32), then set the blending mode to Linear Dodge (Add). 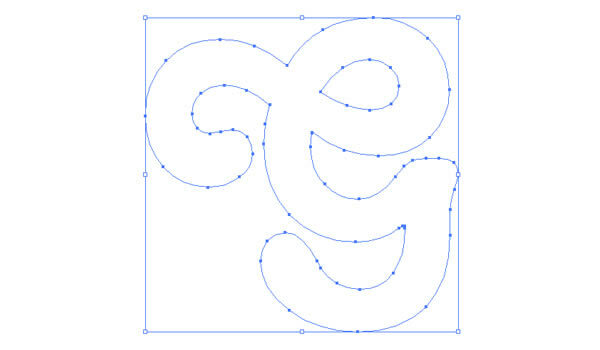 To create a cable select pen tool and start drawing the black shapes. 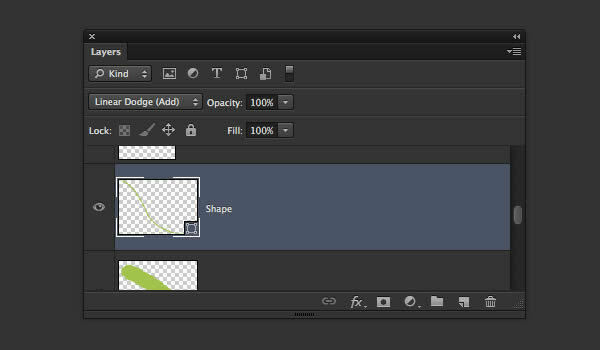 Then go to blending options and check Bevel and Emboss. 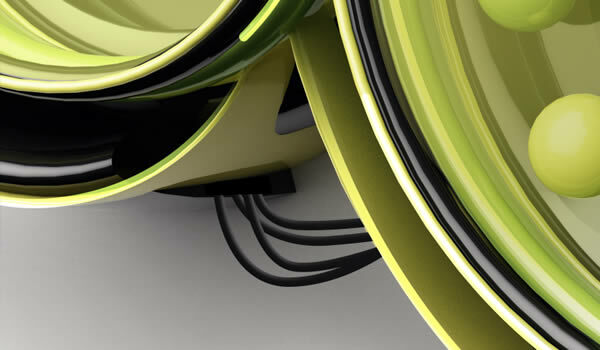 Repeat this step to create more cables. At this point, you are finished. If you would like to add some flat typography to your artwork to make a poster out if it, feel free to do so. 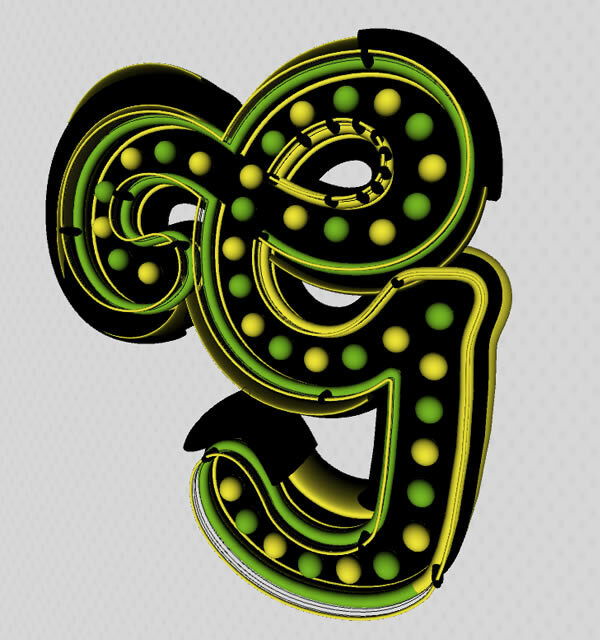 In this tutorial, you learned how to create a vintage 3D lightbulb sign using Adobe Illustrator, Adobe Photoshop, and Cinema 4D. 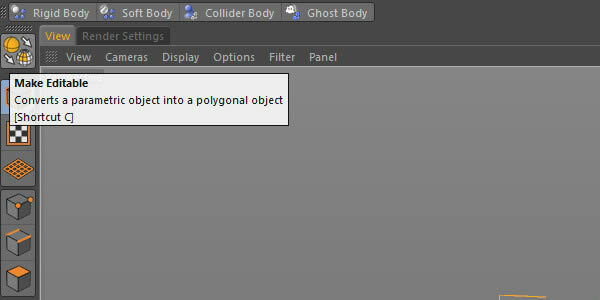 I hope that you learned something from this tutorial that you can apply to your own work.